Freebies – Page 5 – Jane Talks Tech! I haven’t really talked about my computer set-up on this blog, but I did ramble a lot on my personal weblog (Fading Whispers). I own an HP dv9700t customized laptop and I’ve put it through its paces by installing & uninstalling a bunch of software on it. The past two days, I noticed something weird: my User profile folder has suddenly become a “protected system file. 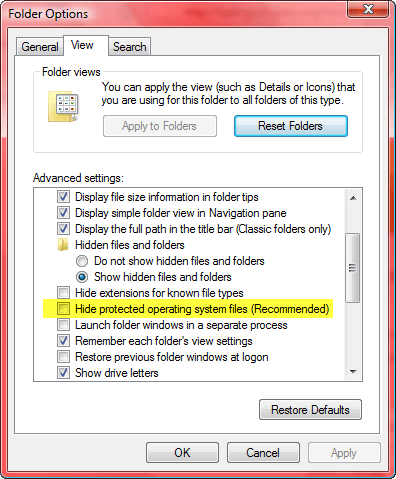 Right now, I can only see my User folder under C:Users if I uncheck “hide protected system files” under “Folder Options” menu in Vista. Also, when I hide system files (which now includes my user profile! ), any searches I make on my computer exclude all files in my User profile!! I’m really upset about this and having to view ugly system files everytime I use my computer. Searching the web hasn’t really helped much so I’m doing as much backtracking as I can i.e. uninstalling nonessential programs which may have triggered some weird protective mechanisms in Vista. Of these programs, I’ve uninstalled MikTex which was a monster (a whopping 1.33GB on my system). I expected that kind of consumption from a program like Adobe Acrobat Professional 8.0. 🙂 I have a feeling that the solution to my problem will be ugly. Wish me luck. *sigh* Talk about annoying. In better news, I’ve begun playing with SnagIt more and I can’t believe that all I’ve used it for is simply excellent screen captures and short video. I’m having so much fun with the callouts, accents etc and I have a feeling I’ll be putting up a lot more screenshots of things that go wrong. 🙂 In yet other news, there’s a $500 Kmart giftcard up for grabs. I love the freebies so go ahead and enter to your heart’s content. Thus far, I’ve entered ShoeMoney‘s and Julia Roy’s. So, despite bragging having several hard drives, I still lost data. Reason: I simply didn’t bother to actually back up the data one I had the necessary tools. I’m sure the fact that it took several hours to perform the backup operation also factored in although that doesn’t seem important in the light of the fact that I’ve lost some precious files. Right now, I’ve got a 320GB Iogear eGo drive, a 500GB Seagate FreeAgent Pro drive and a 250GB Seagate hard drive. The Iogear eGo is portable and goes with me everywhere. It’s currently 75% full and I’m really scared to delete anything from that disk. So, I’m currently in the market for a larger portable drive (preferably Seagate) although the prices are slightly scary. 🙁 Not good.